A pregnant woman and nine children are among the 44 people on board the boat, which has been drifting about 300m off the coast of Lhoknga in Aceh since Saturday. A group of Sri Lankans who were reportedly trying to reach Australia when their boat became stranded off Indonesia during bad weather are set to be “escorted” back towards India, officials say. Following a meeting late on Wednesday between local and central government officials, including the Indonesian vice-president, Jusuf Kalla, authorities said those on board would be allowed ashore while their boat was fixed, refuelled and supplied with food. They would then have to leave for Sri Lanka. Describing the Sri Lankans as “illegal immigrants”, the head of the Aceh immigration division, A Samadan, said they had been rejected on four grounds, including a lack of travel documents and a failure to notify authorities of their intended arrival. The boat would be escorted out of Indonesian waters towards India, Samadan said on Thursday. However, he could not confirm when this would happen. Amnesty International hit out at Indonesia for not allowing those on board to be properly processed by the United Nations High Commissioner for Refugees. The boat, flying Indian flags, began a hazardous journey from India after those on board reportedly fled Sri Lanka, where members of the Tamil minority have suffered past persecution. The group had been at sea for 20 days in the hopes of seeking asylum in Australia before bad weather struck off Aceh. “These people have endured a long and difficult journey already,” Josef Benedict from Amnesty International said on Thursday. 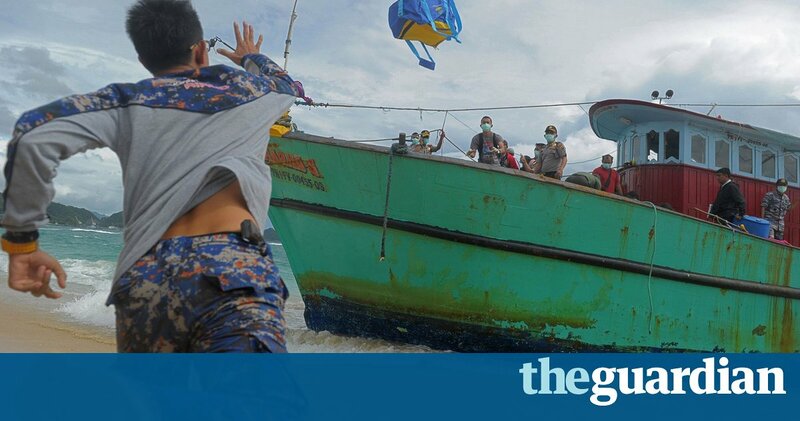 The comments come just days after two men aboard the boat tried to swim to shore on Monday afternoon before they were picked up and sent back to the boat by the Indonesian navy. There are currently more than 13,000 refugees and asylum seekers registered with the UNHCR in the archipelago and detention centres in Indonesia are above capacity. In Indonesia alone, the number of Afghan asylum seekers awaiting a solution has increased from about 1300 in 2010 to more than 6000 in 2015.